Alfred Eisenstaedt (1898–1995), the man behind some of the most memorable pictures of the 20th century, was a professional photographer for almost 70 years. He started working in photography in Weimar Germany in the 1920s. Having fled Nazi Germany in the mid-’30s, he shot for LIFE magazine from its debut in 1936 until it ceased publishing as a weekly in 1972. 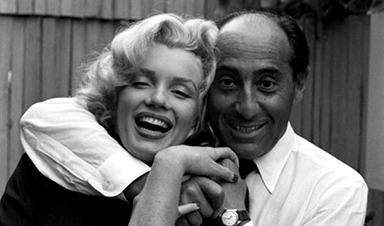 After LIFE was shuttered, Eisenstaedt kept photographing until the mid-1990s. Small in stature, dapper, indefatigable—”I cannot believe that any photographer today works as much as I worked in the past,” he told an interviewer in 1993—”Eisie” traveled the world, making indelible portraits of famous people and places, infamous scoundrels and anonymous (but, through his lens, immortalized) men, women and children.